(Formerly known as NEST Interiors) Judith Balis Interiors is an award winning interior design firm specializing in residential design, new construction design from blueprint review to finish selections, art curation, and remodels. Judith's work has been featured on HGTV, and her design tips and ideas have been featured in Popular Science, Horizon Airlines Magazine, HGTV Magazine, Getting Organized, and numerous design blogs. Let our team help you with everything from a simple paint color selection to a full remodel. 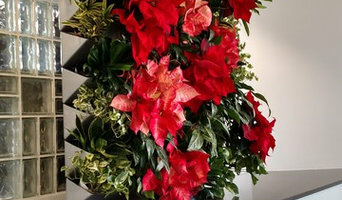 Let us change the nature of your interior with the warmth and vibrance of living plants. We specialize in living and moss walls, interior plantscapes, foliage and blooming plants, and outdoor containers to enliven any space. I am an Interior Designer that helps you create a space that is functional, beautiful and reflects your personal taste...creating your design style. I offer a variety of options for every budget. Whether you need some rearranging, redecorating or redesigning. I meet at clients home for a consultation to see what the clients needs are. During the consultation I take measurements and photos and establish the budget client wishes to work in. I also learn about clients likes and interest to make sure it is a home that reflects who lives there. I will provide an approximate price for furnishings requested in the space as well as the design fees to complete the project. Once contract is signed the process of choosing furnishings and shopping begins. Large furniture pieces are usually sent to the clients home and then all of the final touches are placed into the home by me. I believe there is nothing better then transforming a clients house into a beautiful home that they look forward to being in and sharing with family and friends. I also offer home staging. I offer home staging for new builds and vacant homes. I can also help you get your home ready to sell if you choose to live in your home while it is on the market. Visit my website randlhomestaging.com for more information and photos. I look forward to working with you! One of the most satisfying aspects of practicing in my field is helping clients realize the beautiful spaces they imagine for their homes. Many homeowners believe that interior design is a very custom option, only available in higher-end communities. I want you to know that I am the design professional that can work with you no matter your style or taste. Cornerstone Design is currently celebrating 25 years of providing meaning and value through design excellence to its clientele. A prestigious, award-winning firm, we serve the luxury residential, hospitality and commercial markets throughout the United States. Bend, Oregon Premier Interior Designer, Best of Houzz 2016 and 2017! Award-winning interior designer Alysse Matthews is all about a room that can be lived in. "I believe that we all want to be surrounded by a space that reflects our personality." With over 16 years of experience in both residential and commercial projects, Alysse has a unique ability to personalize the design process and not box herself into a particular look or trend. "This is key in providing timeless design." Amy Snow Interior Design's passion for interior design and art is reflected in the end result of the project. Our goal in mind, is to have the client feel at home whether it is a contemporary, traditional or eclectic space. We specialize in complete home interior design for remodels and new homes. Ada County's Established Interior Designer | Best of Houzz! I have been creating beautiful interior spaces for the past 20 years. Designing and furnishing your home is an investment. As a professional Interior Designer I can help you create a beautiful home that reflects you and your lifestyle. My experience combined with Ethan Allen's quality furnishings and complimentary design service, I can help save you time while creating the home of your dreams. Combining over 50 years of experience, Innovative Interiors, Inc. offers our clients a wide array of design expertise. Our goal is to provide customers with individual and personal assistance in all areas of decoration and design. We have extensive knowledge of the local area. Having worked with local businesses for many years, they can bring the finest craftsmen and highest quality materials available to help you achieve your finished product. From floor to ceiling and everything in between, let your guests and customers know that your environment reflects your demand for quality and elegance. Award winners for many years with the local Parade of Homes, we have built a reputation of uncompromising good taste. Monica Macha Design is an interior design business dedicated to enhancing the principle features of your interior home architecture through the discipline of color, balance, scale, and pattern and line. From a room refresher to a full house remodel, we offer design packages that meet our client’s needs. We strive to create outstanding interior environments by balancing function and beauty, always with the client’s budget and goals in mind. Distinctive Interiors is a full service Residential Design & Consulting Firm, located in Downtown Boise. Specializing in renovation & remodeling. Melodie transforms living environments into a fresh inspiring space. My mission is creating unique environments that reflect my client's lifestyle. A design consulting firm with 17+ years experience specializing in design, finishes and furnishings for residences. We take great pride in listening to the client's desires and needs and using those to put together beautiful spaces. We use the highest quality products and work with the best builders and subcontractors in the Treasure Valley to create unique and beautiful spaces in every budget. These two closely related professions are often mistaken for the same thing, however there are some significant differences to be aware of before deciding which to hire. An interior designer, sometimes known as an interiors architect, can run full renovation and structural design projects, and will use specialised knowledge of interior architecture, construction systems and components, building regulations, materials and furnishings to arrive at your dream home design. Interior design companies are able to plan spaces and room functions down to the last detail, and can help design and renovate interiors, from initial planning phases to placing the last decorative accessory. A decorator on the other hand will typically be involved only in the aesthetic layer, the “look and feel” of a space, and won’t be able to assist in renovations that require structural work. Interior decorators normally come on board after all structural work is complete. 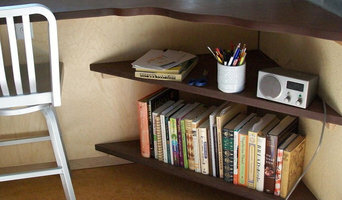 So choose your Boise, ID interior designer according to the type of work you need. Why should I hire an interior designer in Boise, ID? They say life is what happens while you’re busy making plans. Some of us are just too preoccupied with a career and/or family to think about colour schemes, wallpaper, flooring and lighting. A professional interior designer in Boise, ID can save you bags of time, stress and months, if not years, of living in a half-finished home. It’s their job to stay on top of the latest trends and to have contacts and visual references coming out of their ears. Interior designers and decorators can also save you money, sourcing products via trade contacts or offering affordable alternatives to blowout iconic designs. How do I choose the right Boise, ID interior designer for my home? Good design and visual inspiration are all around us. Start by searching for interior architects and interior designers in Boise, ID on Houzz. Keep a lookout for images of rooms and features that you really like and save them to your Ideabooks to begin to develop an understanding of your own style and taste. If you notice that photos from the same interior design companies are popping up regularly then that is a good hint that they could be your perfect design match. 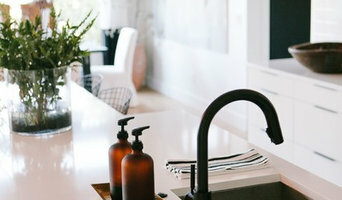 You can feel most confident if you hire an interior designer or interior design company in Boise, ID that has completed work similar to the look and feel that you desire, whether that is a mix-and-match lounge oozing mid-century modern style, a pale and interesting minimalist bedroom with shots of colour, or a beautiful space inspired by Scandinavian design. How much does an interior designer in Boise, ID cost? What are some of the important questions to ask Boise, ID interior designers or interior decorators? Start searching for an interior design Boise, ID professional in your area who can bring life to your interiors and reinvent your home for you. 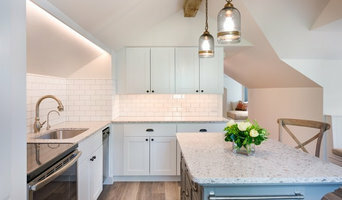 Look through reviews, projects and ratings to decide on the best interior designer in Boise, ID for your taste and style.